Primary hyperparathyroidism (PHPT) is a common endocrine disorder and is usually diagnosed in adults. PHPT due to ectopic parathyroid adenoma in adolescents is rare. We describe the case of a 15-year-old boy with PHPT due to ectopic parathyroid adenoma. A review of the literature of PHPT in adolescents was performed, focusing on etiology, clinical presentation, preoperative localization methods, pathology, and treatment. The patient was successfully treated with surgery and was followed up for 5 years with no signs or symptoms of hyperparathyroidism. By reviewing the literature, only seven cases of PHPT associated with ectopic parathyroid lesions in adolescents have been reported. Parathyroidectomy is the only known curative treatment. Accurate preoperative localization of the target lesion is critical. 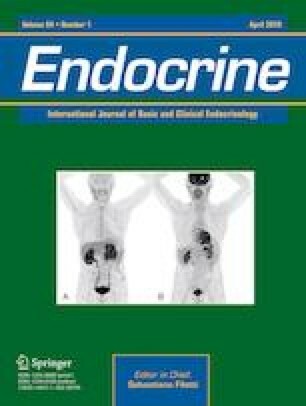 This study should raise awareness of the diagnosis and treatment of PHPT due to ectopic parathyroid adenoma/carcinoma in adolescents. Written informed consent was obtained from the patient and his parents for publication of this case report and any accompanying images.